Millions of $$ of wasted product from preventable causes. The Matos Monitoring System is a sophisticated online temperature monitoring and alerting device with an Automatic Temperature Override System that can be wired into your refrigerator, freezer or cool room. It will keep detailed and accurate records of temperature history and will prevent the system from freezing/ overheating due to thermostat failure. 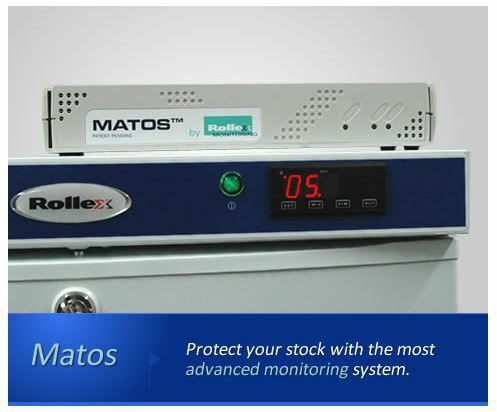 Matos Monitoring automatically generates SMS and e-mail notifications for temperature breaches, power failures, and network failure and override activations. Monthly reports can also be generated automatically. A detailed history of temperatures is available through our secure web server with customisable options available.